At the present moment, I offer two seminar/workshops for photographers. Check below for more information. Some people still love doing things the old way. View cameras will make photographs that no other cameras can. Some of the things they will do can be reproduced in Photoshop but some can't. Because of the large film area that a view camera produces, less magnification is needed to make very large prints and so the quality of the photographs is amazing. View cameras were used for advertising, commercial and landscape photography. With the advent of digital imaging, using the view camera is quickly becoming a dying and lost art. If you would like to learn to master the view camera, I still offer my two day course. If you only have one day, I can also accommodate you. Weekend and weekday classes are available. The workbook is reproduced on a laser printer and is presented in a three ring binder. Workbooks are available by special order. $225 Includes Workbook and Hands-On Instruction! • Different types of large format view cameras and their uses. • Parts of the view camera and nomenclature. • Necessary accessories to be able to photograph with a view camera. • Optional accesories for the view camera. • Types of film currently available. • Setting up a tripod and the view camera. • Proper rules of compostion. • Metering for proper exposure. • The use of spot meters and flash meters. • Using filters to enhance your photograph. • Previsualization of a scene and how to make the photograph represent what you see. • Introduction to the Zone System exposure method. - How to increase/decrease contrast in a photograph. - Use of an 18% gray card. - Using natural lighting, artificial lighting and a mix of both. • Understanding and controlling depth of field with lens aperture and camera movements. • View camera movements: Focus, Shift, Rise and Fall, Tilt and Swing. • Making time (long) exposures. • Overview of film processing. - Black & White negative processing. - C-41 Color negative processing. - E-6 Color transparency processing. • Scanning large format film. Along with Photographer Extraoidinaire, Stan Price, the "Mastering the Digital Camera" workshop and workbook is basic enough for the beginning photographer yet deep enough to enlighten even the most seasoned professional photographers. This is a two day class. 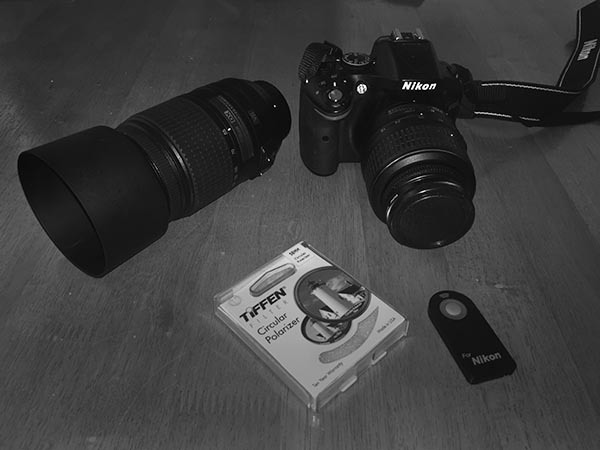 The first day is spent in the classroom learning the basic and advanced features of digital cameras. The second day is spent in the field applying the things learned the first day along with other photographic procedures. Space is limited so that we can give personal, hands-on instruction. $59.95 Includes Workbook and Two Full Days of Hands-On Instruction! • Different types of digital cameras. • How digital cameras work. • Lenses and Lens choice. • Exposure Triangle and its effect on photos. • Depth of field, what it is and how to control it. • Exposure compensation for various scenes. • Photographing with natural light and artificial light. • Shooting time (long) exposures. I have a fond appreciation for all the photographers that have taught me so much about the art over the years and I try to pass that knowledge on. 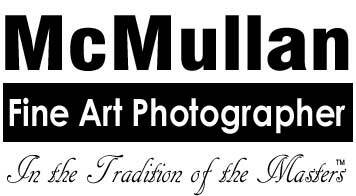 In 1983, I was awarded a scholarship to the Texas School of Professional Photography which was held on the campus of Sam Houston State University in Huntsville, Texas. I studied under PPA Master Photographer David Smith from Stone Mountain, Georgia. The focus of the course was portraiture and wedding photography which were the biggest parts of what I did in my photography business at the time. The organizations for professional photographers are amazing and all of the photographers I got to know were more than willing to help me learn all I could about the craft. In my little hometown of Spearman, Texas, the only storefront studio in town was run by Bill and Cricket Giles. Cricket was eaten up by rheumatoid arthritis but continued to do all of the school photography and studio portraits until she passed away. Before Bill passed away, he loaned me an excellent slide presentation by a professional photographer from Dallas about outdoor portraiture which taught me a lot. I was beginning to do more portrait photography but didn't know how to set up my lighting correctly and I struggled with posing my subjects. The Texas Panhandle Professional Photographer's Association frequently held seminars which were always full of great knowledge. The first one I had the opportunity to attend was scheduled to be held in Lubbock, Texas, four and one half hours from my little hometown. I had two babies at home and barely made enough money to survive but somehow I scraped up the money to get to the seminar. It was taught by PPA Professional Photographer Don Blair from Murray, Utah, a suburb of Salt Lake City. Don Blair could have been, arguably, be the finest portrait photographer who has ever lived. His lighting techniques though were way above my head. I tried to learn what I could but I still didn't understand everything. When the seminar was over, I met now PPA Professional Photographer Fred Hughes from Dumas, Texas in the hotel where the seminar was held. In passing, I told him that I didn't understand Blair's presentation. Fred sat down right there in the hotel's beautiful garden area and began to draw lightitng diagrams as he explained to me how to set up my studio lights, how to test them and how to get the correct exposure. At the time, photography was not my main job. I was a field representative for a water district. I ran the field office in Spearman but our main office was in Dumas, Texas where Fred had his studio. When nothing was going on (which was most of the time), I would run over to Dumas and then hang out with Fred in his studio. I will forever be indebted to him and the photographic knowledge he imparted to me. In my seminars and workshops, it is my desire to be able to impart the things I've learned about photography to you. 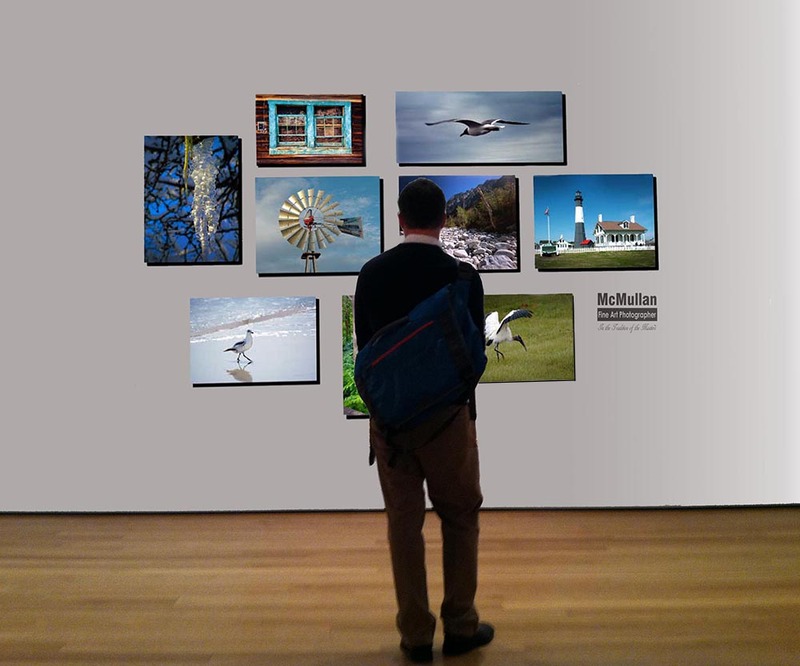 Digital imaging has made photography much easier for the masses. Before digital cameras, you really had to know what you were doing. We had to shoot weddings with medium format cameras and the film had to be sent out of state, many times, to be processed. With digital imaging, you see immediately how your photograph turns out. In the old days, it might be a week or two before you would get your film back. Wedding photography was particularly stressful. You would always hope that your film didn't get lost in the mail and that all of your photographs would turn out well. I was fortunate that they always did! I first began to teach seminars when I lived in the Houston, Texas area. I called my business the "Texas Institute of Photography." I led, what I called, the "Galveston Island Photography Tour." People would join me early in the morning in Galveston so we could start the tour by photographing the sunrise. Throughout the day, we worked our way to various places to photograph on the island. In 1993, I moved to Salt Lake City, Utah. While there, I invited photographers from all over the country to join me on a two day, hands on, photography tour of the Canyonlands area around Moab, Utah. The photography tour lasted for two days and I held several of these photo tours over the years while I was in Utah. On the very first tour, I was leading our group of vehicles up Shafer Trail, north and west of Moab. That afternoon, I looked to the west and saw a large storm looming. I told everyone that we needed to get out of the canyon. All along Shafer Trail, there are arroyos (dry creek beds) that will quickly turn to flash floods when storms are anywhere near, even when they are several miles away. At the end of the trail, the road snakes back and forth about two thousand feet straight up the canyon wall. When we got to the end of the trail and started up that two thousand foot cliff, it began to rain and there was lightning and hail and possibly even a small tornado. Red, muddy water quickly became a river pouring off of the top of cliff and boulders were coming with it. Tons and tons of boulders washed over the side and almost trapped the first vehicle in our caravan. He was stuck there and could not go any further up and out of the canyon. One large rock, weighing probably one hundred pounds smashed the top of one of the cars! The road was cut at an angle going down toward the cliff side of the road. The water was pouring down the road along the side, but quickly becoming a wider and wider river of raging red mud. Finally that torrent of water was under our tires and still growing wider. The road was very narrow but we were able to finally get all of the vehicles turned around and we started back the way we had come. My truck was highly customized, with a lift and large tires so I went first so I could pull the other vehicles through the mud if need be. We finally all got back safely to Moab but it was quite a trip! The desert is completely unforgiving and has to be taken seriously! While living in Salt Lake City, I also taught seminars and workshops about using the view camera. 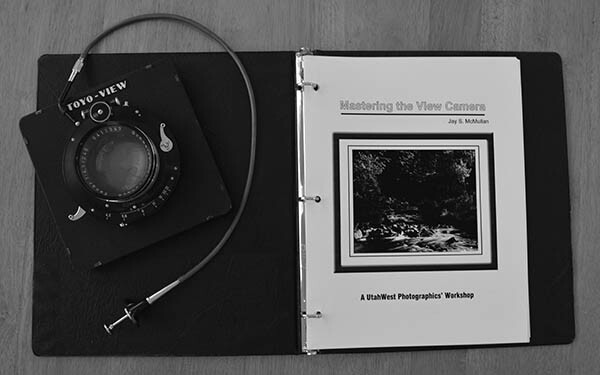 While few people still photograph with view cameras, I do still offer my workbook and will certainly be willing to teach anyone that desires, how to use a view camera. Contact me for more information. jay@(remove this)jaymc.com.